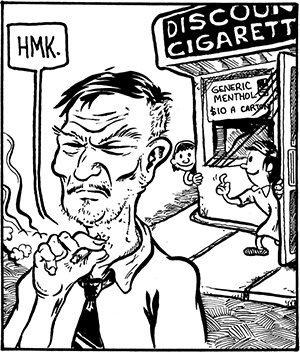 My latest webcomic strip is a collaboration with my good friend Ben Zmith about the denizens of a Strip Mall. In a moment of inspiration, we decided to call it Strip Mall. Ben and I both write and draw the whole thing and then forget who did what. 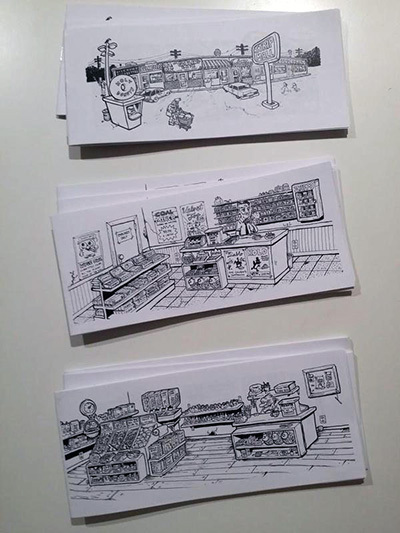 In addition to putting it online, we are also currently printing it as a series of mini-comics… we have three issues printed so far of a projected ten, after which it will be a book. Ben and I also collaborated on a previous webcomic about monsters and angry science called Monkey’s Paw, which we completed a couple years ago. 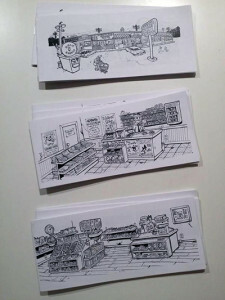 We’re hoping to find the right publisher for that sometime soon. Currently, it can be read in its entirety online.